Every translation at ATS is checked by an editor before being sent to a customer. This is an important aspect of our work as checking the texts ensures that their overall quality is very high. Besides proof-reading translations undertaken by ourselves and the freelancers we employ, we will also check any foreign-language texts that you have written yourself and edit them to make them sound as if they were written by a native speaker in the first place. We can help you by making your sales presentations, financial reports, website texts or articles sound more fluent. As a result, your target audience will take what you write more seriously, which can also enhance your reputation and/or that of your company or organisation. Checking and editing foreign-language texts is a supplementary linguistic service that requires appropriately trained and capable staff, reference works, electronic and Web-based resources and, most of all, time. You'll find it's worth including sufficient time for this service in your overall project schedule as you won't need to spend as much of it checking the texts yourself afterwards (we try and sort out any questions the translators have about the source text before sending you our final version, for instance). What do we do when we check the quality of a text? Does the translation have the same page layout as the original text? Has everything been translated that needs to be? Did the translator miss anything out by mistake? Did the translator do a final spelling check before sending us the file? Are the technical terms used the correct ones? Did the translator make use of the customer's own terms where necessary? Does the translation really sound natural? Or is it too literal? Have the names of any products, companies or people mentioned in the translation all been written correctly? Are all the numbers mentioned in the original text the same in the translation? Are there any unresolved issues - like tricky technical terms or ambiguous sentences - that ought to be cleared up with the customer? Being a professional provider of language services, it's ATS's aim to attain the best quality possible using our translation and editing resources. Whenever it seems advisable to discuss terminological issues or content-related matters with our customers, we do so, as your answers enable us to complete our translations properly. We believe in collaborating with customers rather than just doing a translation blindly, translating "iffy" sentences without finding out what they really mean, and then just hoping for the best! ASIEN. A German journal on politics, economics and cultural life in Asian countries. - editing articles and summaries in English that appeared in issues 95, 97, 98, 99, 104, 105, 106, 108, 109, 110 and 116. Journal of Current Chinese Affairs. A scientific journal on political, economic and social issues concerning the PRC and Taiwan. JAPAN aktuell. A scientific journal on political, economic and social issues concerning Japan. 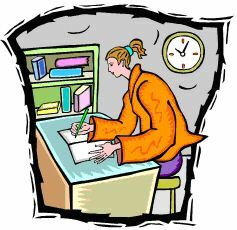 - editing of various English articles in 2008 (last year of publication). Proof-read and translated numerous academic articles written for manuscript cultures 6, 7 (2014), 8 (2015) and 9 (2016). This academic journal is published by the Centre for the Study of Manuscript Cultures (CSMC), Hamburg University. Quality is what counts (and the best thing is, it doesn't have to cost you a fortune!). Ask me for a free quote today.